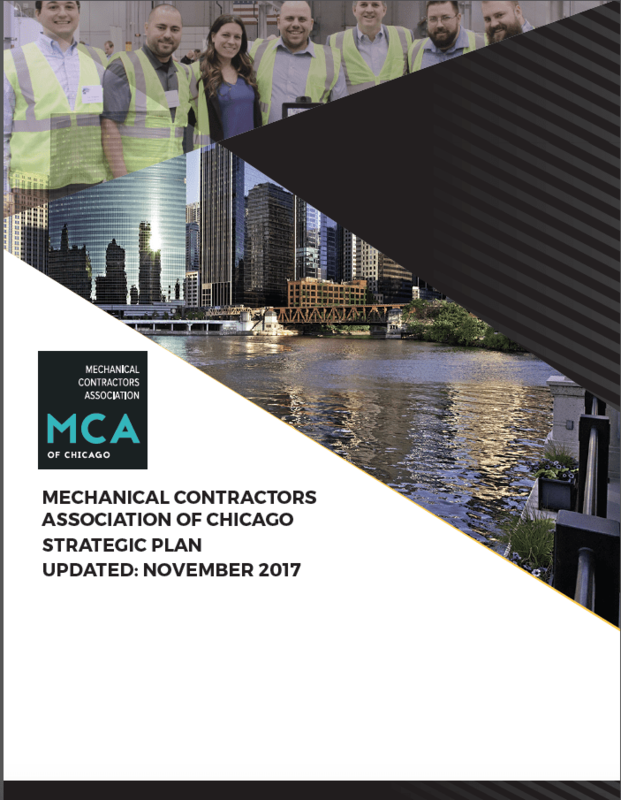 The MCA of Chicago is a membership organization that represents more than 400 union contractors who service and install technologically advanced and energy-efficient heating, air conditioning, refrigeration and process piping systems across the region. Our members perform the mechanical construction and service for everything from commercial and residential buildings, to food-processing facilities, refineries, green energy systems, power plants, manufacturing plants, hospitals, airports, hotels and data centers. Membership in MCA of Chicago provides labor relations, high-quality learning opportunities, innovative safety and technology programs, legislative representation, mentoring opportunities and professional networking. Leadership: Demonstrated by visionary judgement, hard work in the earnest pursuit of excellence, and a continuous commitment to competence and quality. Innovation: Demonstrated by forward thinking services and resources developed and provided in a dynamic, creative and invigorated environment. Partnership: Demonstrated by an earned reputation for fairness, good faith collaboration and respect for members and their industry. MCA has also taken a deep look into our industry and assessed how we can help our members achieve success. Read more in our Strategic Plan below. Explore the Mechanical Contractors Association of Chicago Bylaws here. Confused about what all of the acronyms and initialisms from around the industry mean? Look no further than MCA of Chicago’s Alphabet Soup 2018 Guide.